Role models can be highly influential in conveying ethical standards. This study investigates the influence various categories of role models have had on a population of over 1,600 undergraduate students in Texas, Oregon and Michigan. Those identifying clergy, boy scout leaders, friends and college advisors as role models exhibited less willingness to adopt questionable ethical behavior in negotation situations. Journalist and spouse role models tended to cause students to be more accepting of questionable behavior. Individuals with strong end-result and social contract ethical philosophies, as well as males and those who served in the military exhibited strong tendencies toward less than ethical behavior. 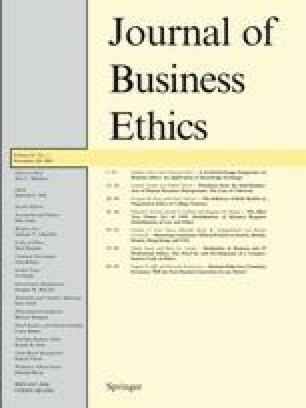 Individuals with strong rule ethical philosophy, high levels of religiousity, and those with a cooperative attitude in negotiations tended to adopt higher ethical standards in negotiations.